Five card draw poker is not just the mother, but the seven times great-grandmother of poker. See those cowboys with their cards in the Wild West saloon? They’re not playing Texas Hold ‘Em! It’s an old and simple game, played more in homes than casinos nowadays, but being basic also makes it easy to learn and fun to play recreationally. Read on for the rules and some handy draw poker tips to get you started. You get a single draw in this game – it’s “draw poker” for a reason! – and after you’ve had two rounds of betting, whoever has the best hand takes the pot. You have to love a variant you can sum up in one sentence. 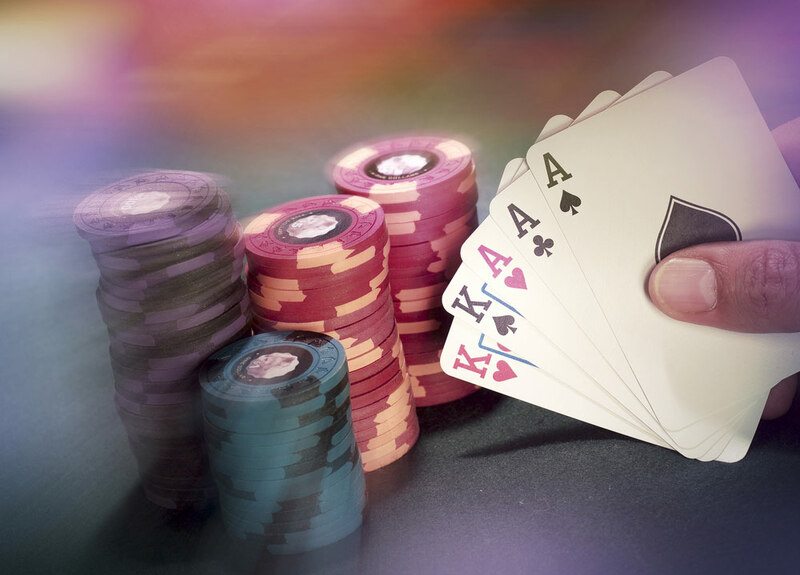 Although you can play five card draw as a Hold ‘Em-style blinds game, most home and casual players prefer to play ante, with each putting up a small stake – maybe just £1 – before the deal takes place. Like all draw poker rules, this one is simple. The antes are paid and everyone is dealt five cards face down, after which betting begins with the player to the dealer’s left. They don’t actually have to bet, but can check and remain in the hand. (This isn’t allowed in blinds games.) Then the draw round begins, again with the guy on the left of the dealer. Unless they’ve folded already (bad luck!) they can swap out any number of cards. That includes zero, as standing pat is fine. They then take the same number from the deck. There is one common variant, though you won’t find it in casino play: some games cap the number of discards at three. This helps total novices as there’s less to keep track of. When everyone’s got their hand sorted, it’s time for another round of betting, similar to the first. If only one player is left in, they win the pot – but that’s rare. Usually, it’s showdown time! The hands are ranked in normal poker order, and the player with the best five-card hand is declared the winner. They get all the cash in the pot. And that’s it! Everyone’s cards are picked up by the dealer, the next player along (going anti-clockwise) becomes dealer, and play continues. As has already been mentioned, five card draw is essentially a pretty simple game. That means that many of the opponents you come up against will be beginners – and that means that even a little knowledge of strategy and bluff is likely to bring you success. Three-of-a-kind is the best way to win at five card draw: if you’re dealt a good pair, drawing three cards is usually the best move – though a risky option is to draw two to put your opponents off the scent. Don’t automatically hang onto Aces as some real novices might. If you’re dealt a couple of kings as well, keep a laser focus on those. This doesn’t mean that any triple is worth going for: anything below a pair of nines is going to be risky. If you have at least that, though, then raise first in. Especially if you’re new to poker, you may be thrilled to be dealt four-to-a-flush or straight. Damp down your excitement, though! It’s true that drawing to these hands could bring you a really big hand, but most of the time it won’t – and you’ll be left with a useless hand that’s almost certain to go nowhere. Playing things this way is going to give you a hard lesson in how not to win at five card draw poker, so it’s best not to do it most of the time. Here’s a place you can gain an edge, especially against beginners. The simplest way is to check the number of cards they draw. If they stand pat, they have a big hand. If they draw four or five, they have quite the opposite! The key is in reading the 1-2-3 draw situations. Two is the most interesting: inexperienced players may be trying to hit a straight. Better players will do it if they have a triple, or even to bluff. Learn who does which and you’ll be going places! A complete beginners guide to Pot Limit Omaha Poker & tips to help you ace your game! Are you a tournament or a cash game poker player? If Texas Is the King of Poker Variants, Then Omaha Is Surely the Queen!